At Bing Ads, we believe that managing your accounts and billing isn’t something you should have to worry about. You told us to make it simple, convenient and fast. We heard you. In our latest release, you’ll find many of the changes you asked for specifically, along with much more! From insertion order edits to bulk management, from one-stop-shop billing to consolidated invoices – all designed to help you do more, work less. 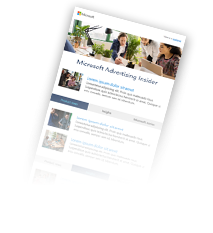 Whether you’re already using Bing Ads Accounts and Billing, or you’re transitioning over from Yahoo, we think you’ll like what you see. We’re partners in this, so please keep the feedback coming – we’re just getting started! Welcome to the family! We’re excited to have you on board, and as you’ll see, we’ve got you covered. You’ll find everything you need for a seamless transition to Bing Ads Accounts & Billing, and even a few nice additions. We’re excited to announce a brand new set of features designed to meet the needs you, our customers, told us you care about. ...or dive into specific ones. If you change your mind about when you want to pay for your ad charges, you can now simply switch between pre-pay and post-pay payment options. No more being locked in! If you’re an agency managing clients, you can soon support both post-pay and pre-pay clients. We want to help you run your business, the way you need to. There is no better time to start creating and managing your insertion orders online. This fast, simple process now sports the convenience of creating and managing IOs in bulk across your accounts, getting instant approvals, the ability to edit existing IOs, and track your IO change history. For those of you who like the paper trail, you can also easily print the IO details. The billing tab is now your one-stop shop for staying on top of your bills. Whether you want a summary of your charges or more granular data, it’s all right there, now with many more details and the ability to filter. Tired of juggling invoices for all your accounts? You can now opt-in to consolidated billing and get one, single bill for all your accounts that us the same currency and language. 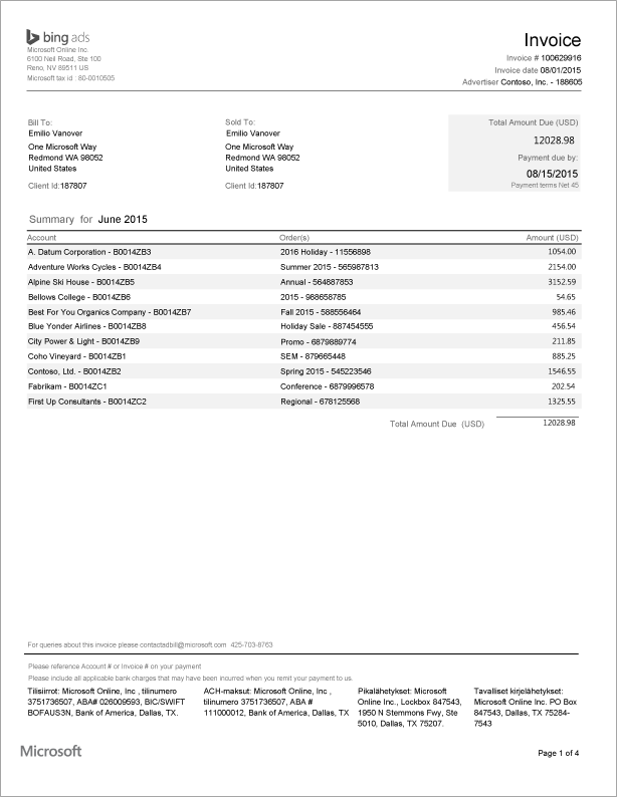 We’ve made your invoices easier to read too, and you have the option to include campaign-level charges. These changes are the direct result of your feedback, so please, keep it coming! We truly appreciate your comments and recommendations, because it shows you care. We want you to be successful, and we want to make it easy. We’ll be there with you every step of the way. On behalf of the Accounts & Billing team, thank you for partnering with Bing Ads.